MetaWorld's economy is based on cryptocurrency and powered by the Ethereum block chain. You can create, experience and monetize simulation content and services using cryptocurrency. 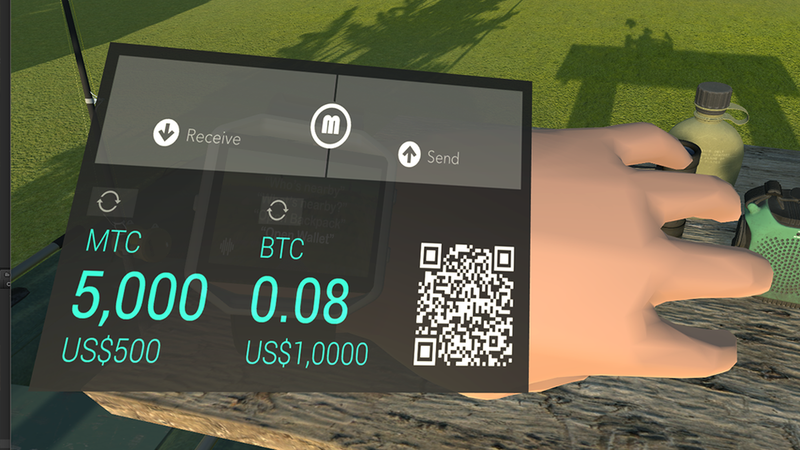 MetaCoin is the primary transaction currency in MetaWorld. Coins are bought, sold, earned and exchanged in world using Blockchain technology. MetaWorld is a first of its kind simulated reality, entirely owned by its inhabitants. Land evaluations are based on Metacoin. Pioneers invest in vast scale simulated land parcels, bought, sold and traded on cyptocurrency exchanges. Unique collectible crypto totems backed by MetaCoin are hidden in our truly persistent world. The longer these items remain hidden the more MetaCoin value they accumulate. A public registry for unique simulated assets and their design, allow truly persistent entities to be sold and rights of owners and creators to be protected.